Dental implants are metal frames. Implants are surgically positioned into the jawbone underneath your gums. Dental implants give you the full range of motion of a normal tooth. Implants are stable and consistent. You can replace one tooth at a time. You can also replace a full set worth of teeth. If you’ve gone through tooth loss, you’ve probably heard of the option to get dental implants. The truth of the matter is misconceptions and myths scare people off. There are a lot of myths about dental implants. We at McCauley Dental will clear up these myths about dental implants. For many people, pain is the reason why they avoid dental care. At McCauley Dental we understand the fear of pain. However, you should know that implants are not painful. A lot of people avoid dental implants because they think the procedure is too painful. In reality, many patients have admitted that the procedure was less painful than they had originally thought. A dental operation such as implants, you’ll be placed under anesthesia. There’s also anxiety relieving dental sedation such as nitrous oxide as well. You may experience some slight discomfort after the implant is placed but it won’t last too long. As a matter of fact one of the best things dental implants is how closely they look like regular teeth. Your dental implants won’t even be noticeable to others. Unless you go out of your way to tell someone about your implants, they won’t even notice. Dental implants are not easy to spot. People have seen crowns in people teeth and automatically thought to themselves “dental implant!”. However, technology has given us the ability to make teeth from porcelain. We make implants that match the color of your teeth. After you get your implants others, and even you won’t be able to tell them apart. This myth does have some truth in it because a dentist with a license can place a dental implant. However not every dentist has the crucial surgical training in implanting procedures. When performed by a dentist who does have this training, the procedure will be more successful. Moreover the dentist with the experience we’ll be able to take care of any potential complications that might occur with the procedure. It’s not in your best interest to be a bargain shopper when it comes to getting dental implants. You want to make sure that your teeth are in the best of care. Dr.McCauley is extremely experienced in procedures for dental implants. When reviewing the costs of dental implants, it is crucial to think about the long-term. Dental implants are an investment for the benefit of your teeth. Dental implants have a long service life. At the same time compare a dental bridge to a dental implant. A dental bridge lasts 7-16 years before they need to be replaced. With proper care, maintenance, and good hygiene a dental implant can last up to 25 years. While the upfront cost of dental implants may be much higher than what you’re willing to pay, implants will last for a long time. Dental bridges over the course of their lifetime will need to be replaced. The cost of constant replacements will add up over time. Dental implants are a wiser investment in the long-term. Dental implants are a great solution for tooth loss. Patients have been using dental implants for more than 40 years. During this span, dental implants have had great success rates. Dental implants have had greater success rates compared to other tooth replacement procedures. Patients who get dental implants enjoy the advantages for many years. In general dental implants are successful 98% of the time. Any patient that is healthy enough for routine oral surgery can receive a dental implant. The patient needs to have healthy gums and bones to be able to hold the implant. Healthy dental hygiene practices will put you in the best position for dental implants. 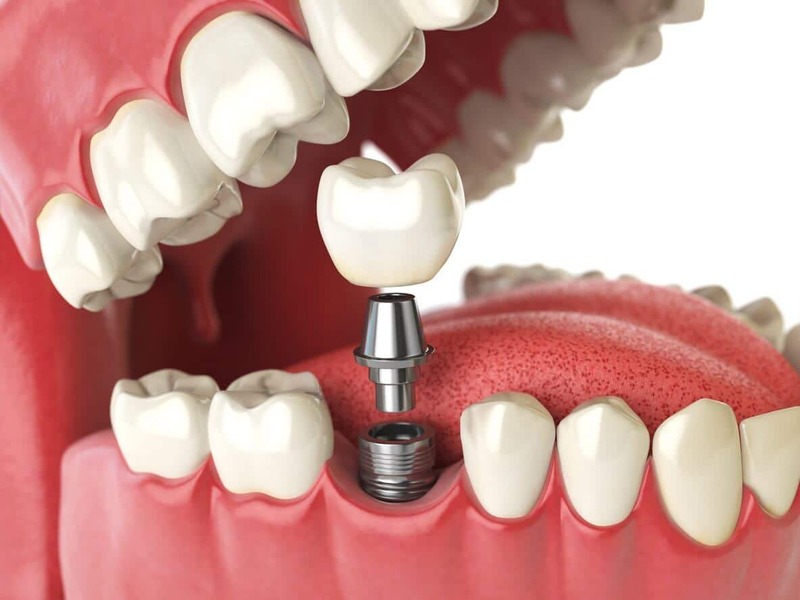 Dental implant procedures are one of the safest and most common operations performed in dentistry. Now that you know some of the myths about dental implants, schedule an appointment with McCauley Dental. See Dr.McCauley and see if dental implants would be the best for you. Dr.McCauley can then determine if you’re a good candidate for dental implants, and help you through the process.